Hello everyone! It's another wonderful day! 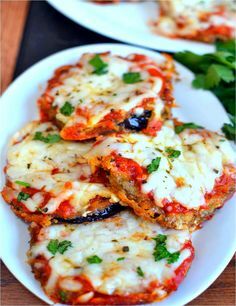 What I have prepared today is eggplant parmesan. Which is wonderful just as a heads up. I am not a fan of eggplant, but I do enjoy it in this dish. 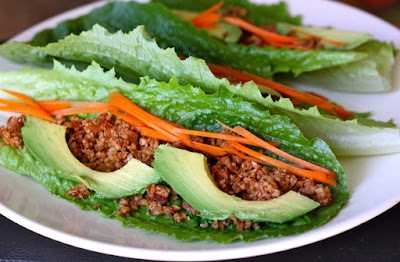 There are minimum modifications to do to this recipe to make it vegan. So instead of using the typical egg wash for the recipe to bread the eggplant, we are going to use an almond milk mixture. And of course, vegan cheese for the recipe. Enjoy! Slice eggplant into thin rounds slightly less than 1/2 inch thick, and sprinkle each side liberally with salt. In the meantime, preheat oven to 400 degrees F and line a baking sheet with foil and spray with nonstick spray. Also, if making pasta, bring water to a boil in a large saucepan. Prepare your dipping stations by placing almond milk + cornstarch in one bowl; flour in another bowl; and bread crumbs + salt + oregano + vegan parmesan in another bowl. While the eggplant is in the oven, bring a large skillet to medium heat. Once hot, add 2 Tbsp olive oil (or sub canola or grape seed) and pull 3-4 eggplant rounds out of the oven at a time and sauté to give them extra crisp and texture. Cook for ~2 minutes on each side and then return to oven to continue crisping. While eggplant is browning in the oven, prepare marinara. Once done cooking, drain pasta and plate your dish!